The purpose of this article is to encourage you as an athletes to think of what you can do for your coach. All coaches love certain qualities in athletes...most go the way of least resistance and take the easy road to training. Coaching involves making sure the athlete doesn't travel that path. So the question is "what can I do for my coach to get the most out of my ability?" First, you need to be self-motivated! Give a total effort every time you compete. Coaches look into what shows up in a player's heart as evidenced by the way he or she plays. Secondly, be willing to give the kind of physical and mental effort necessary to win - in practice as well as the competitions. Make it personal excellence time! Next, listen to meaning of the messages from your coach, not how it is said. The next time your coach gets a little tough with you, stand back and listen to the message. Don't make judgments or take it personal. If your coach did not care they would not bother to correct you. Think of what the coach is looking for. Work hard on those areas. Work to improve your lesser skills into strengths. Know your role on the team. If you don't know ask. Most of us like to be the go to guy - the scorer, but coaches love great defenders, great rebounders, players who give of themselves and ask nothing in return. There is always room in the line-up for these kind of players. You are forcing the issue with playing time, because when you give your coach has no choice but to play you because they love your effort. There are three things that your coach would love from you. First, love the game. "The Game" might be what is in season at the time. Convince your coach that this is the most important time in your life. Secondly, work hard. Good things happen to people who work hard to make good things happen. Playing time is conditional based on hard work. Vince Lombardi said, "the harder you work, the harder it is to quit." You can always offer hard work. Third, be loyal to your coach. Believe in your coach and he will believe in you. 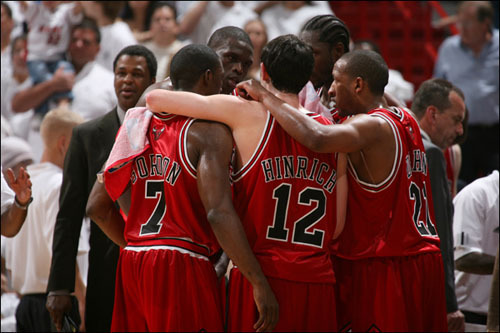 Jerry Tarkanian said, "the only bad kid is one who won't be loyal to his teammates and coaches." Respond positively to challenges from your coaches and your opponents. You will grow and develop, win or lose. These challenges will linger in your memory long after the game is over. When your coach gets tough, they are looking for a positive response. Give them attention! Great players don't have to be inspired by the coach to get "up" for a game; all you need to know is that any game is important, and how you should play it is with intensity and focus. Let your coach sit back and enjoy the ride!